The word for me today is “community.” After a full day working up the mountain on the water project, we stopped in the little village area our bus parks at and spent time with the locals. Starting a simple game with some of the guys led to more games with kids and the adults laughing and enjoying the activities. 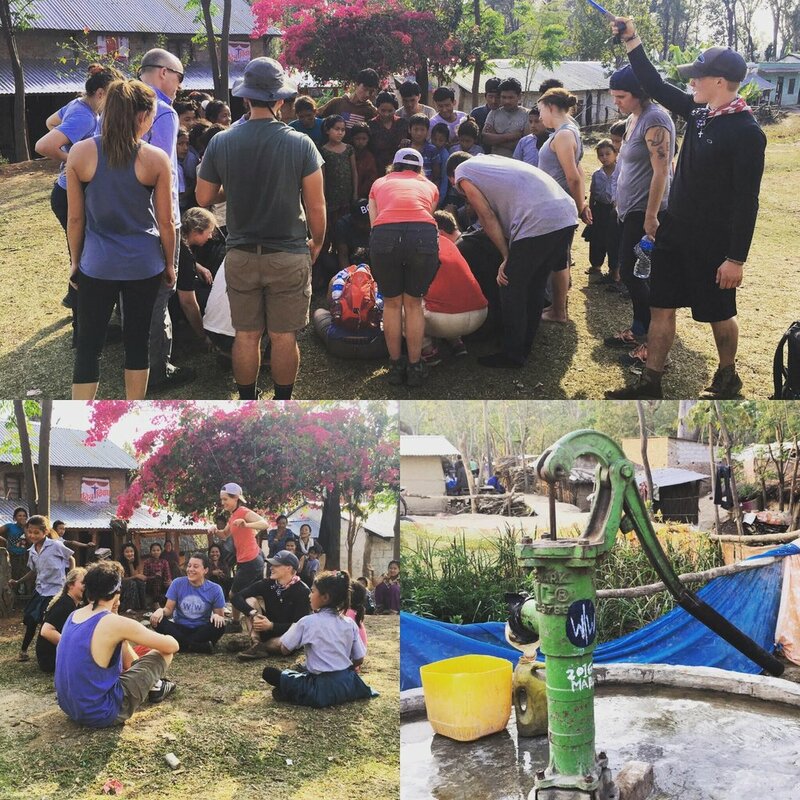 We then visited another village where a Wine To Water well was put in a year ago and heard about the transformation happening in the village. Again, the local villagers came out, kids held our hands, mothers let us hold their babies and community members said “namaste.” Both experiences helped me bring perspective to the project we are working on this week and how important and precious the community aspect of what we do is. We are not just building clean water sources, we are building relationships and community across continents. On purpose.